Active Media Products today rolls out a line of upgrade kits, appropriate for first generation MacBook Air, most of the Sony Vaio models and other popular laptops that include a ZIF SSD. 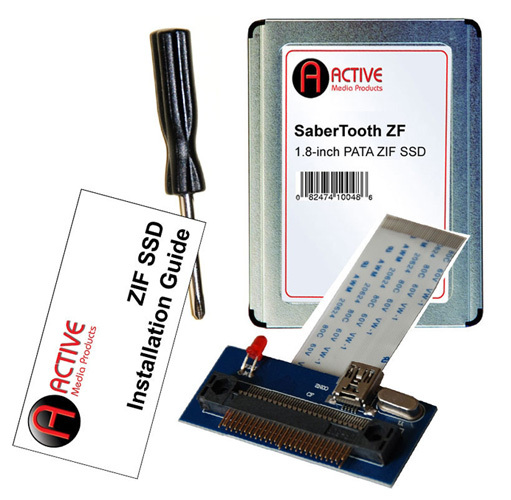 The offer includes three ZIF SSD upgrade kits which consist of 1.8-inch SaberTooth SSD in 64GB, 128GB and 256GB SSD capacities, delivering transfer speeds up to 130MB/sec, along with a mini screwdriver, an illustrated installation booklet and a cloning adapter that lets you to clone your data from your old drive onto the new ZIF drive through a USB port. 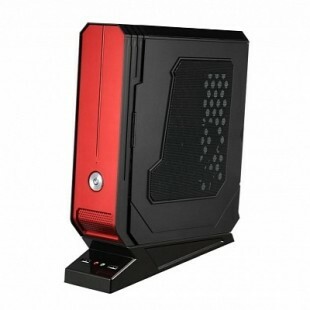 The upgrade kits are now available priced at $169 for 64GB SSD, 128GB variant for $289 and with 256GB SSD inside the box for $739.